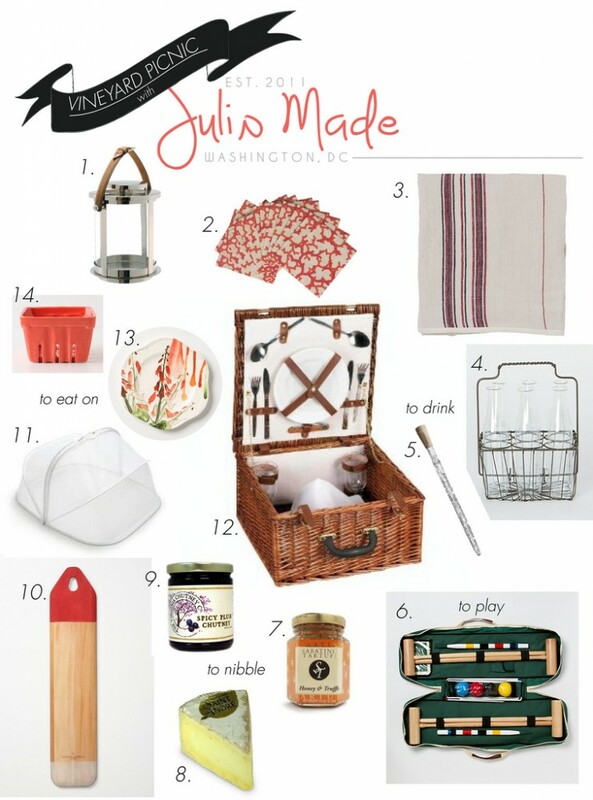 Summer Entertaining Essentials with Julip Made. 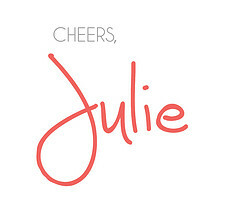 Some of my favorite bloggers are sharing their summer entertaining essentials for being a savvy hostess this season, last but not least in the series is Julie of JulipMade! 1. Haus Interiors round nickel lantern 2. Furbish coral print cocktail napkin 3. Terrain rustic stripes throw 4. Terrain six stems basket 5. Corkcicle 6. Terrain garden croquet set 7. Sabatine tartufo honey and truffle 8. Saint Andre cheese 9. Virginia Chutney Co. spicy plum chutney 10. Anthropologie colorblocked baguette board 11. Sur la Table market umbrella food tent 12. Household Essentials woven willow picnic basket 13. Anthropologie meadowsweet salad plate 14. Anthropologie farmers market basket. 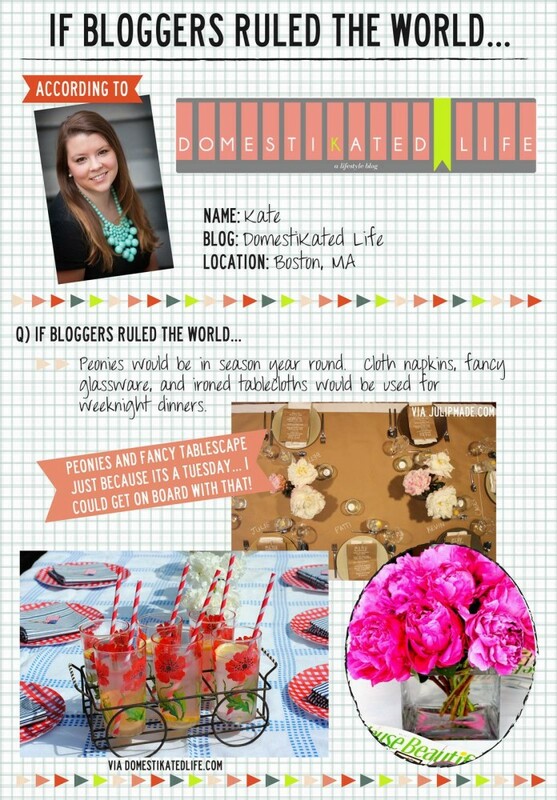 Thank you so much for having me Kate and please stop by for more entertaining, food, cocktail recipes and more! 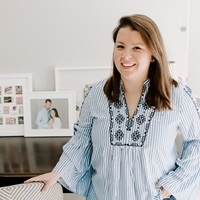 I’m excited to be participating in the adorable “if blogger’s ruled the world” series over on Julie’s blog, Julip Made, where I’m sharing some of my best blogging moments, entertaining tips, and more! 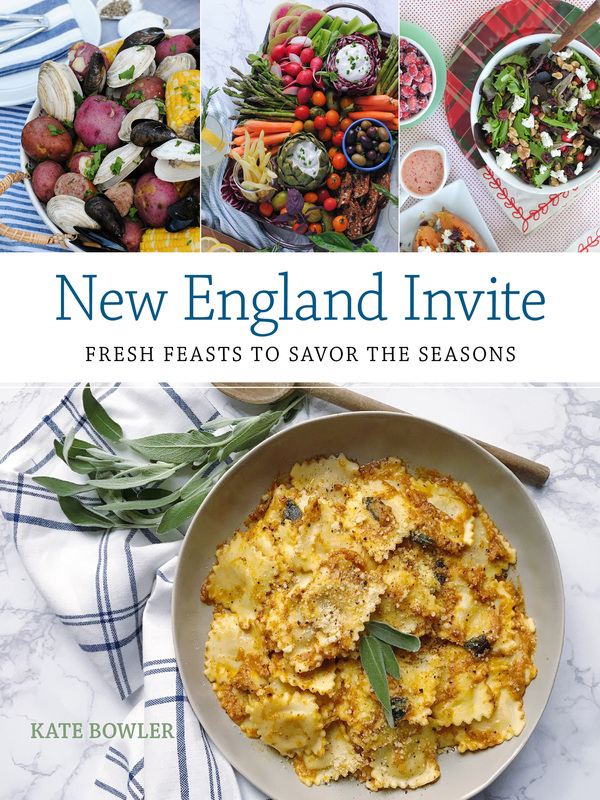 Head over and check out the series, and be sure to stick around to read the rest of her site, she’s always cooking up something fabulous!